I have found the best cooking magazine! It’s called Taste of Home: Make and Take. Standing in the line at Home Depot it caught my eye and every page was an announced–“Oh Parish, we have to cook this recipe!” My love for the movie Julie and Julia (GREAT MOVIE–has a lot of scenes from France, which I love.) 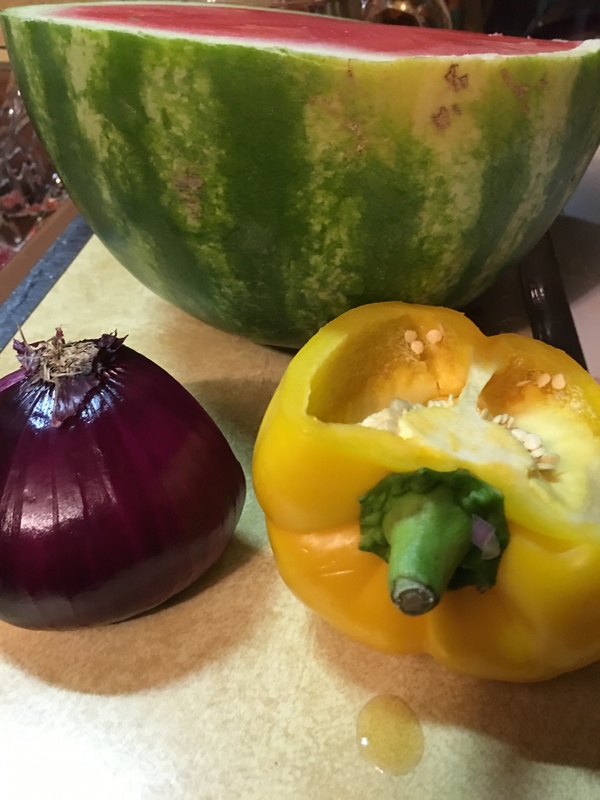 challenged me to consider making all of the recipes throughout the year until done! Here is the first one. 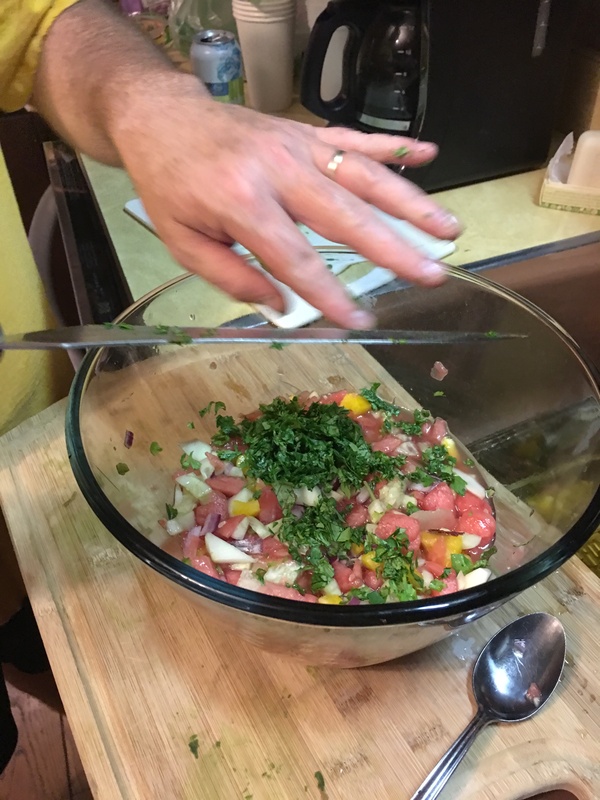 Who does not like yellow peppers, basil, watermelon, brown sugar, cilantro, vinegar, cucumbers? 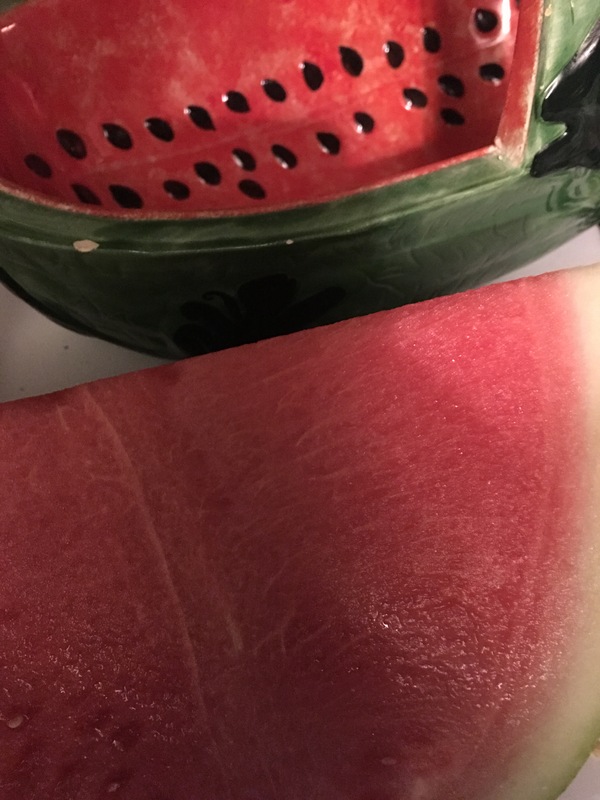 I found a recipe that mixes all these fine ingredients together to make a prize winning watermelon salsa! Go Carolyn Butterfield of Lake Stevens, Washington! She won first place with this one! 1. 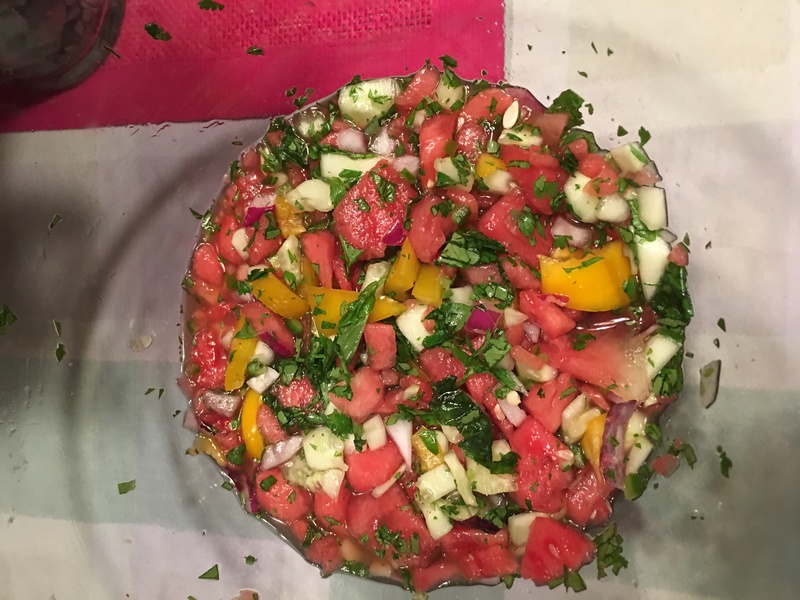 In a large bowl, combine the watermelon, cucumber, onion, peppers and herbs. Drizzle with honey and lime juice; gently toss to coat. 2. Refrigerate for at least 1 hour. Serve with chips. Yield: 3 cups. Previous Have You Ever Tried to Walk on Water? Next You were made for more!